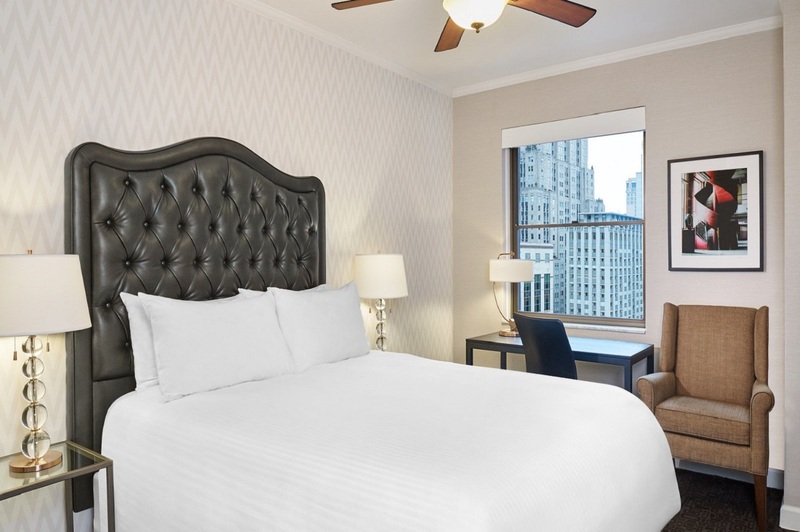 Prepare yourself for an memorable experience in the heart of Chicago's downtown with a stay at the The Tremont Chicago Hotel at the Magnificent Mile. 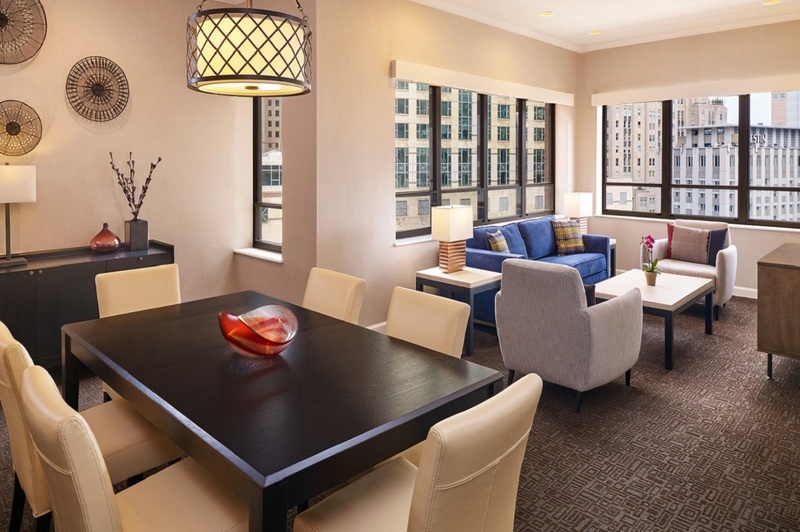 The Tremont Chicago offers boutique accommodations with a sleek, contemporary design and décor. 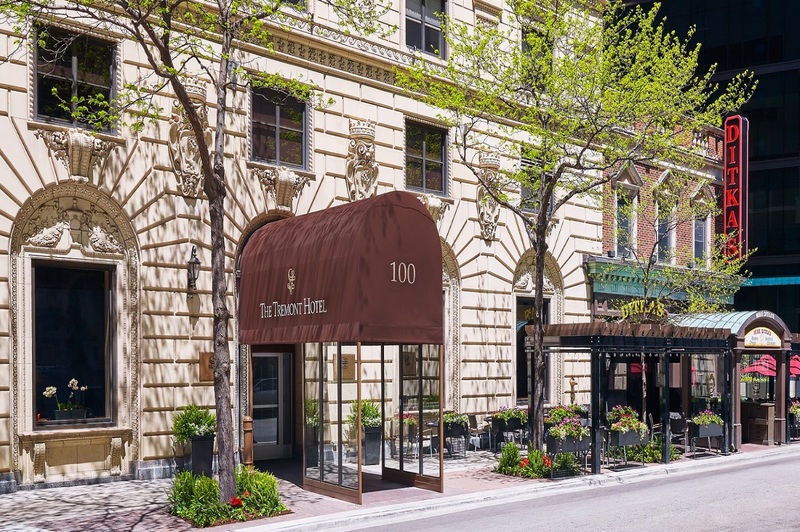 The property is ideally located just steps away from the famed shopping, dining and entertainment of Michigan Avenue's Magnificent Mile. A short 6 minute walk takes you to the beaches and nearby access to public transit CTA service that provides a convenient means to get around. 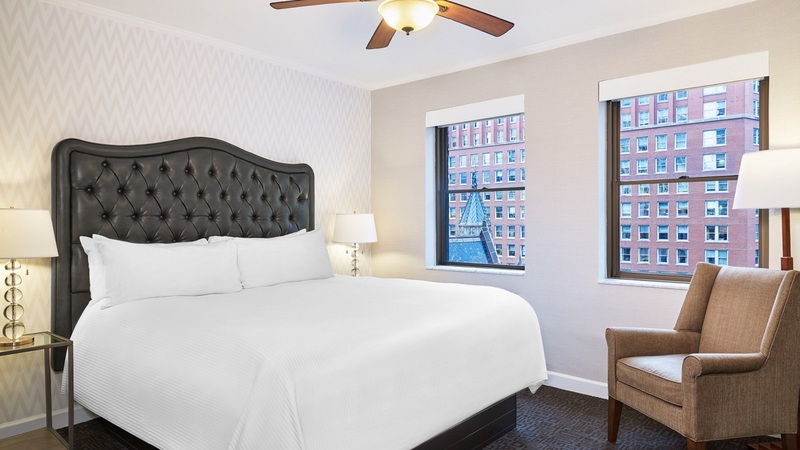 Enjoy a relaxing stay on plush bedding and guest rooms including flat-screen TV with premium channels, available free Wi-Fi, complimentary bottled water and a coffee maker. Room service is offered and on-site fitness center to stay in shape. Business travelers can take advantage of the hotel's business centre, which offers fax and photocopying services. Friendly staff will help with your stay and available Concierge services to plan and navigate the extensive opportunities for exploration. 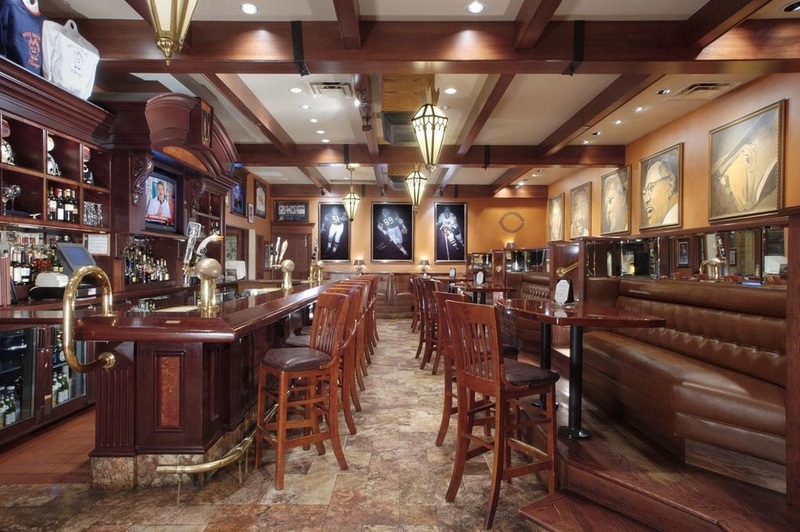 If not able to get out on the town, can still indulge in the original Mike Ditka's Restaurant that is connected to the hotel lobby and offers a selection of prime steaks, chops, seafood and more for lunch and dinner. 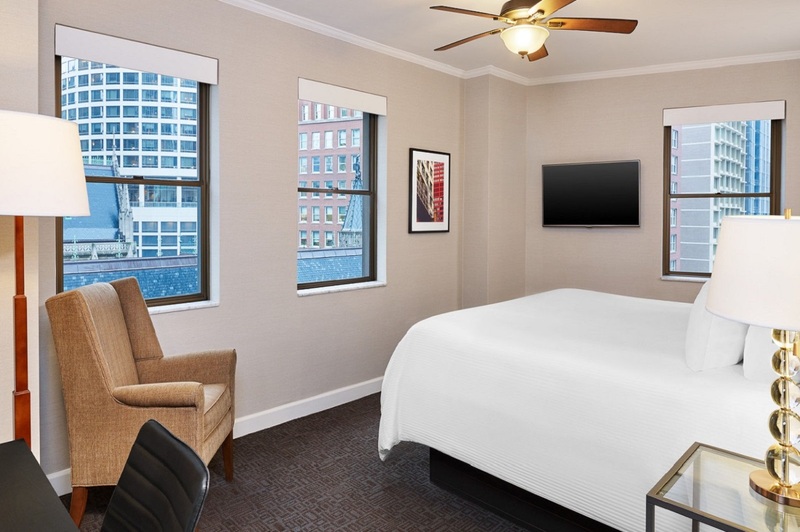 Chicago's food scene brims with cutting edge culinary experiences from celebrity acclaimed chefs, Michelin rated restaurants and eclectic venues to home grown staples such as the famous Chicago deep-dish pizza to signature hot dogs. The choices are extensive so no matter the person, palette or pocketbook, there is something delectable for everyone on any budget. Namesake brands to exclusive boutiques to Chicago's novelty and souvenir shops, bargain shop and everything in between, what's not to like? When staying at the Tremont Chicago Hotel at Magnificent Mile, the name says it all. 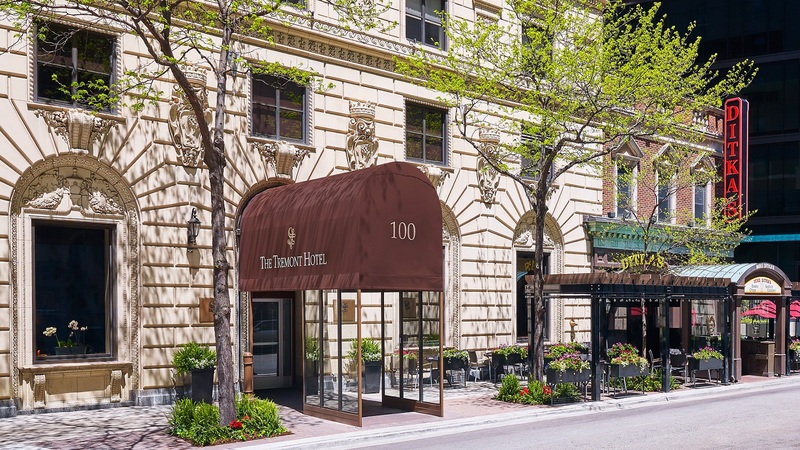 Located at the heart of the Magnificent Mile, take a stroll and pass by Bloomingdales, Nordstroms, Macy's, Neiman Marcus and Sak Fifth Avenue. For the more daring fashionistas, exclusive designers range from Burberry, Bottega Veneta, Bulgari, La Peria, Louis Vuitton, Ralph Lauren, Salvatore Ferragamo to Giorgio Armani. Also check out the malls at 900 N. Michigan Shops, Water Tower Place and The Shops at North Bridge. Enough name dropping, but there are roughly 460 stores as well as eateries and attractions packed into the Magnificent Mile - Enjoy! Chicago comes alive as the sun sets and the hours tick into the evening but it isn't just about bars and nightclubs but a plethora of comedy shows, craft breweries, theater experiences and places to enjoy live music. Start off the evening and frequent a show at the Cadillac Palace, Oriental, or CIBC Theatres. To stay a bit closer, the Broadway Playhouse Water Tower Place or the Lookingglass Theater Company are alternatives. Don't miss out on a night of laughs so take in some comedy at the Zanies Comedy Club, The Second City or the Laugh Factory. For high energy and breaking out the dance moves, visit Studio Paris, PRYSM and Disco Nightclubs. If you prefer a Blues or Jazz vibe look to the House of Blues Chicago or Andy's Jazz Club Restaurant. 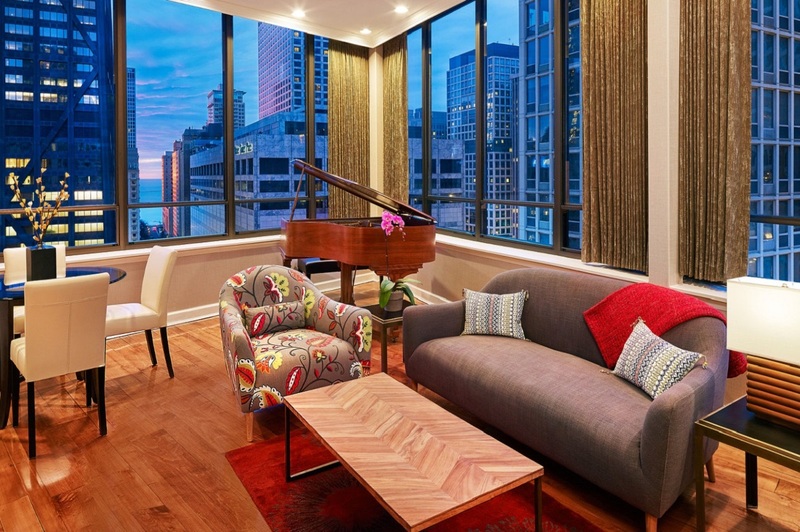 From rooftop lounges to basement bars, you won't be disappointed! 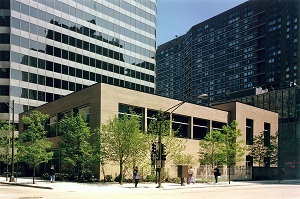 Arts Club of Chicago is a private club and public exhibition space located in the Near North Side community area of Chicago in Cook County, Illinois, United States, a block east of the Magnificent Mile, that exhibits international contemporary art. It was founded in 1916, inspired by the success of the Art Institute of Chicago's handling of the Armory Show. Its founding was viewed as a statement that art had become an important component of civilized urban life. The Arts Club is said to have been pro-Modernist from its founding. The Club strove to break new ground with its shows, rather than collect the works of established artists as the Art Institute does. 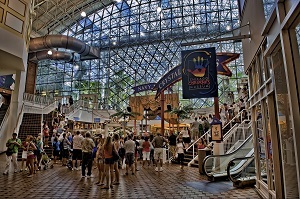 The Chicago Children's Museum is located at Navy Pier in Chicago, Illinois. It was founded in 1982 by The Junior League of Chicago who were responding to programming cutbacks in the Chicago Public Schools. Originally housed in two hallways of the Chicago Public Library, it soon began to offer trunk shows and traveling exhibits in response to capacity crowds on-site.The museum moved a number of times over its initial years of existence while it continued to search for a permanent home. In 1995, the Museum thought it found that home when it re-opened as an anchor tenant at Navy Pier on Lake Michigan. The new facility offered 57,000 square feet of exhibition space and included three floors of educational exhibits, public programs and special events.Upon the move to the Pier, the expansion made it the fourth largest children's museum in the United States. Lincoln Park Zoo is a 35-acre zoo located in Lincoln Park in Chicago, Illinois. The zoo was founded in 1868, making it among the oldest of zoos in North America. 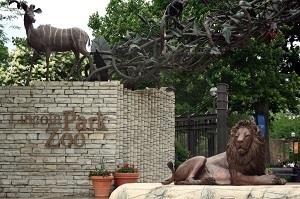 It is also one of a few free admission zoos in the United States.The zoo is an accredited member of the Association of Zoos and Aquariums (AZA).Lincoln Park Zoo is home to a wide variety of animals. The zoo's exhibits include big cats, polar bears, penguins, gorillas, reptiles, monkeys, and other species totalling about 1,100 animals from some 200 species. Also located in Lincoln Park Zoo is a burr oak tree which dates to 1830, three years before the city was founded. Millennium Park is a public park located in the Loop community area of Chicago in Illinois, US, and originally intended to celebrate the third millennium. It is a prominent civic center near the city's Lake Michigan shoreline that covers a 24.5-acre section of northwestern Grant Park. The area was previously occupied by parkland, Illinois Central rail yards, and parking lots.The park, which is bounded by Michigan Avenue, Randolph Street, Columbus Drive and East Monroe Drive, features a variety of public art. 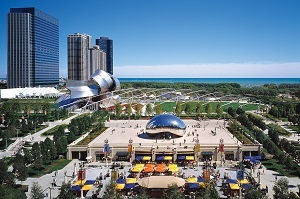 As of 2009, Millennium Park trailed only Navy Pier as a Chicago tourist attraction and by 2017 it had become the number one tourist attraction in the Midwestern United States. In 2015, the park became the location of the city's annual Christmas tree lighting. Navy Pier is a 3,300-foot-long pier on the Chicago shoreline of Lake Michigan. 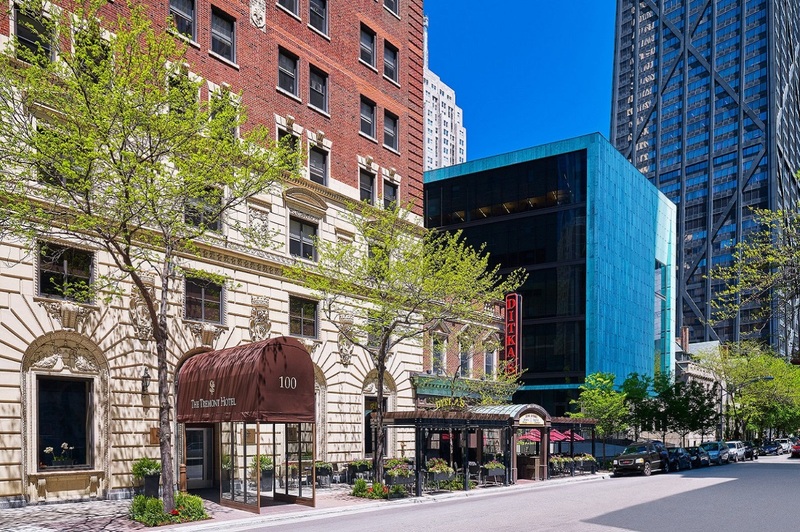 It is located in the Streeterville neighborhood of the Near North Side community area. 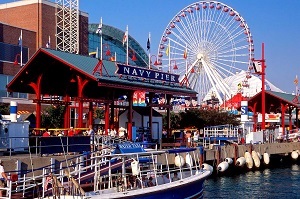 The Navy Pier currently encompasses more than fifty acres of parks, gardens, shops, restaurants, family attractions and exhibition facilities and is the top leisure destination in the Midwestern United States ("Midwest"), drawing nearly nine million visitors annually. It is one of the most visited attractions in the entire Midwest and is Chicago's number one tourist attraction. 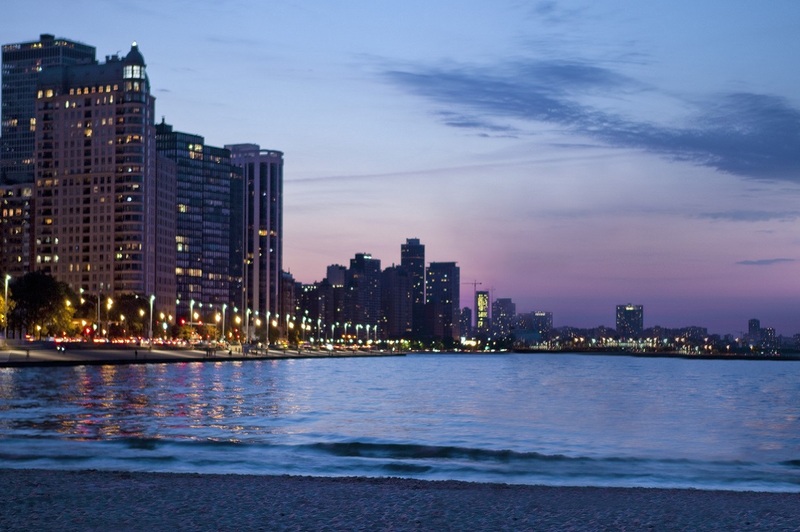 Oak Street Beach is located on North Lake Shore Drive in Chicago, Illinois, on the shore of Lake Michigan. 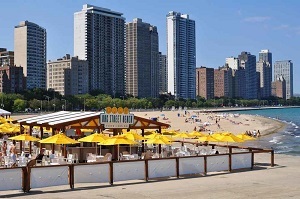 One of a series of Chicago beaches, the Chicago Park District defines Oak Street Beach as the area from approximately 1550 North Lake Shore Drive to 500 North Lake Shore Drive, including Ohio Street Beach, the South Ledge, a concrete path running from Ohio Street beach to the Oak Street Curve, Oak Street Beachstro Restaurant, Oak Street Beach proper, the North Ledge, and a concrete path running from Oak Street Beach to North Avenue Beach. Shedd Aquarium (formally the John G. Shedd Aquarium) is an indoor public aquarium in Chicago, Illinois in the United States that opened on May 30, 1930. The aquarium contains 32,000 animals, and was for some time the largest indoor aquarium in the world with 5,000,000 US gallons of water. Shedd Aquarium was the first inland aquarium with a permanent saltwater fish collection. Located on Lake Michigan, it is surrounded by Museum Campus Chicago, which it shares with the Adler Planetarium and the Field Museum of Natural History. In 2015, the aquarium had 2.02 million visitors. 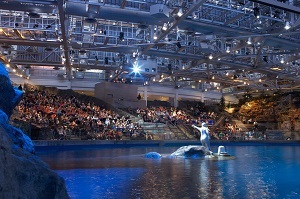 It was the most visited aquarium in the U.S. in 2005, and in 2007, it surpassed the Field Museum as the most popular cultural attraction in Chicago. The aquarium contains 1,500 species, including fish, marine mammals, birds, snakes, amphibians, and insects.The aquarium received awards for "best exhibit" from the Association of Zoos and Aquariums (AZA) for Seahorse Symphony in 1999, Amazon Rising in 2001, and Wild Reef in 2004. It was designated a National Historic Landmark in 1987. Free! WiFi is available in all areas and is free of charge., Free! WiFi is available in public areas and is free of charge. Hotel charges an amenity fee of $9.99 per room per night. Stayed here one night for business. I loved everything about the hotel. Everyone working here was friendly and kind. I even loved the fitness room - crazy, right? I think I loved everything because I got such a great night's sleep. The bed was big, the sheets soft, the comforter warm, I just wanted to lie there for 24 hours and feel luxurious and pampered. I also liked that it does not feel like a chain hotel. Given the fantastic location, I sure wish I could afford to come back and stay here for fun. I stayed here with a friend for their birthday and it was great. It's about two blocks from the Red Line Chicago St station on a side street. 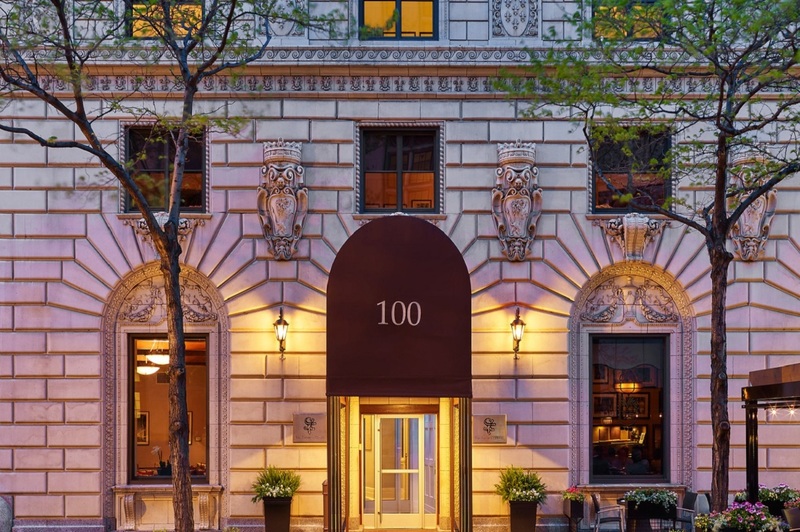 It's surrounded by great bars, a beautiful church, a ton of places to eat and its right on the Mag Mile in the middle of downtown. Within walking distance of everything, one would desire to see in downtown Chicago. The rooms were clean and had necessary amenities and awesome comfy beds. The front desk was helpful and responsive at any time. They have a computer/printer and meeting rooms available to guests, and a small common area in the lobby, a fitness center. Would definitely stay again. Loved this hotel, loved the people working there. The lady at the front desk was Deja. Wonderful, great people skills. Very helpful with everything we needed. The doormen were extremely helpful as well. Always had directions for us. Loved the room, headboard in our room was cool too. Breakfast there was also excellent. I love this hotel. Will definitely stay again. This hotel is great. 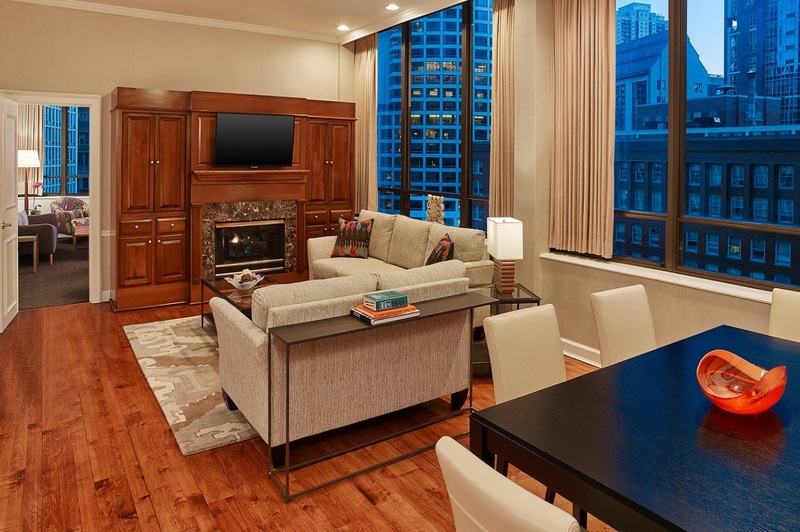 It is a block from Magnificent Mile and walking distance to just about anything you'd like. The staff was super nice and there was a complimentary breakfast/brunch at Ditka's. The room was nice and big, the bed was very comfortable. 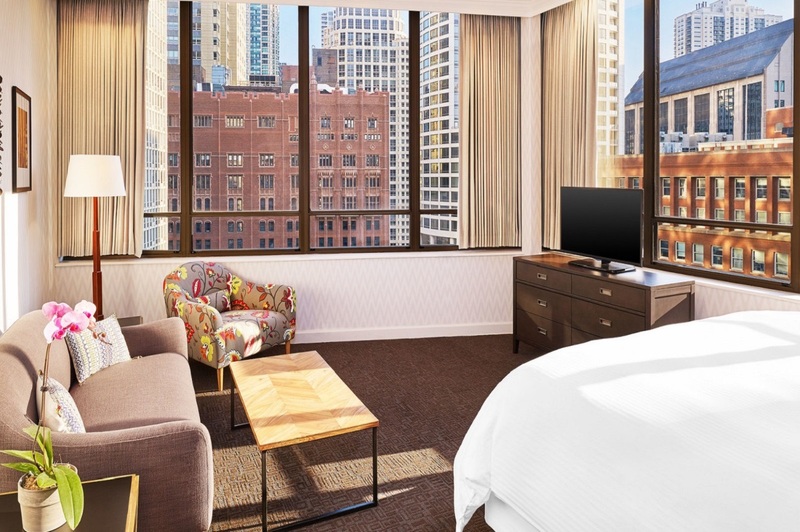 It has a real Chicago charm to it and it didn't feel like we were staying at a chain. Public transportation was close by, but we ended up using Uber most of the time since it was just a couple of dollars more and it was cold outside. We stayed here 4 nights in room 420 during our stay at the Lone Star Rally. 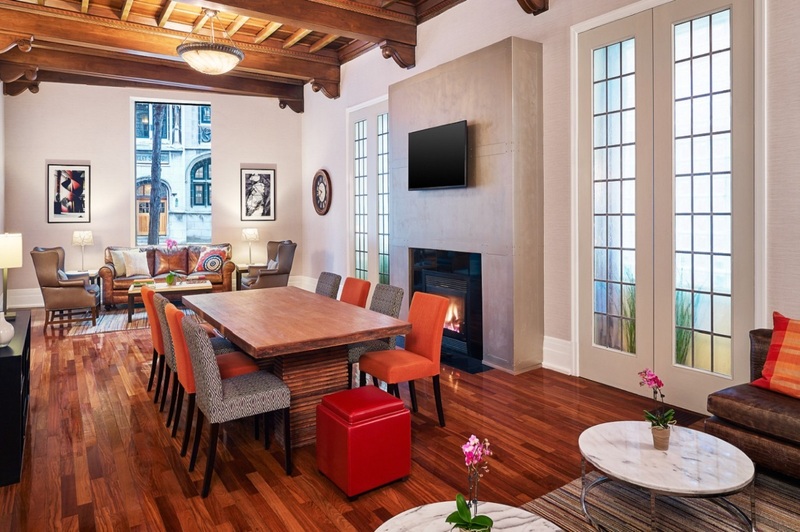 Beautiful historic hotel! It has a great restaurant with coffee house and a fun rooftop bar. The rooms were clean and tastefully decorated in stripes with the antique pictures of the hotel from way back. Lots of channels on tv to choose from. 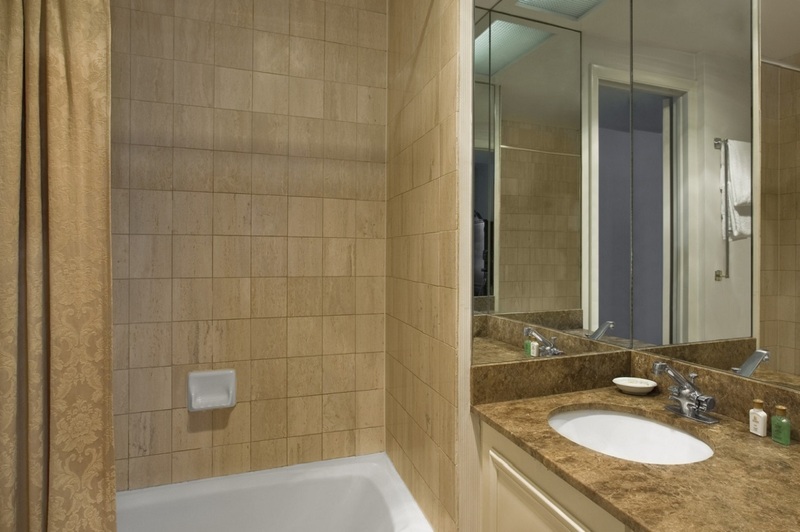 Very fast Hot water and great soaps and shampoos to use. The elevators are fast as well. 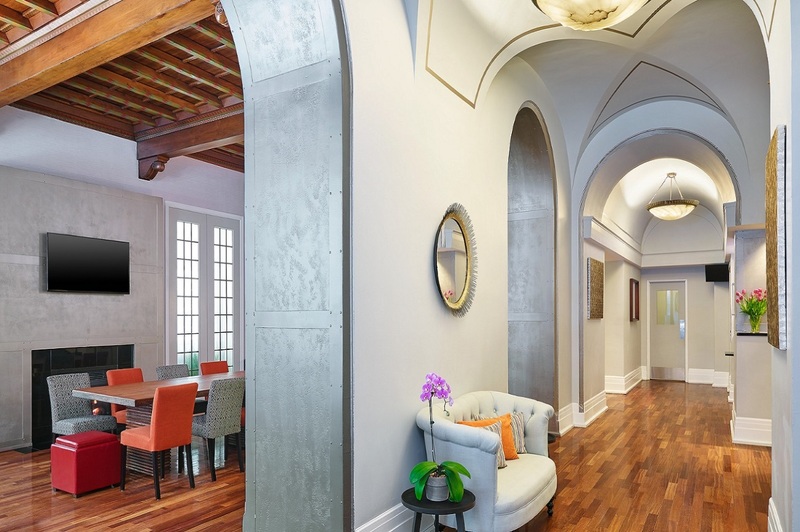 The reception area is a great meeting hub with a live band and huge antique bar across the Back wall. There's is valet parking and doormen how always open the door for you. Overall we had a great stay. Staying here on the couples weekend and loved it. The rooms are comfortable especially the bed. Everyone we encountered at the front desk was very friendly and the doorman was on point. We were able to walk almost anywhere in Chicago and not be far from the hotel. Highly recommended. Great location - great staff! After I identified myself as an SPG Platinum member, Reginald, the Manager, upgraded us to a huge penthouse suite - it was magnificent. 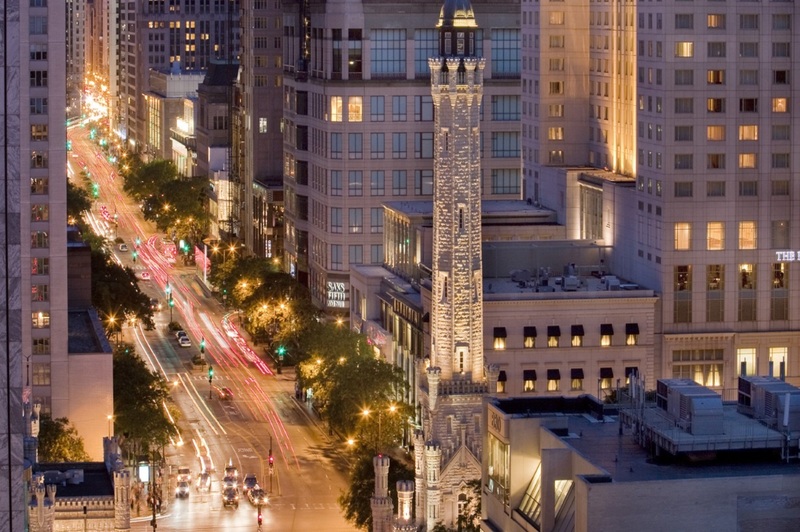 The location of this hotel very nice, 1 block from the Water Tower on the Magnificent Mile! There is a great Ditka's steakhouse in the lobby that has a great outdoor patio that is wonderful for a sunny lunchtime meal and drinks. you will love this place and highly recommend it! Rooms were clean and offered nice views. Bed was very comfortable. Having Dikta's restaurant next door was very convenient. The continental breakfast was good every morning. Very close to lots of shopping and restaurants/bars.